I wanted to help someone who, like myself, is unsure about sizing with these. I kept seeing 'size up, size down, true to size', but nobody said if they were using 'Nike' size comparisons (Nike sizing is horrid). I wear an 8 in nearly all shoes. If it's not an 8, it's 7.5. HOWEVER, in Nike sneakers I've always been an 8, and for the past year or two it's been 8.5. I wear an 8.5 in the Air Pegasus, an 8 in older Free Runs, and any new models are generally an 8.5. I wanted these white Roshes SO badly, but the largest size left was a 7.5. I decided to go for it yesterday, and they arrived today. They fit PERFECT. Keep in mind that these are really 'no socks' shoes. They're like a sneaker/sock. So socks might make a difference. But my 8-8.5 (in Nikes) feet are like a glove in the 7.5 Roshes. Don't size up! You'll be in flippers! Those who size up are probably talking about sizing up from Reebok, or Adidas. SIZE DOWN 1/2 size from your regular Nikes. My toes don't touch the ends. That being said, I love these shoes. Incredibly cute on bare feet, and insanely cozy. 18 found this review helpful. Unlike other reviewers this shoe ran a half to full size too big for me. I am usually a 9-9.5 and the 9 was huge. Also, I wouldn't consider it for working out and I'd be too scared to run in it. The shoe itself is pretty delicate. It's cool for running errands and stuff. 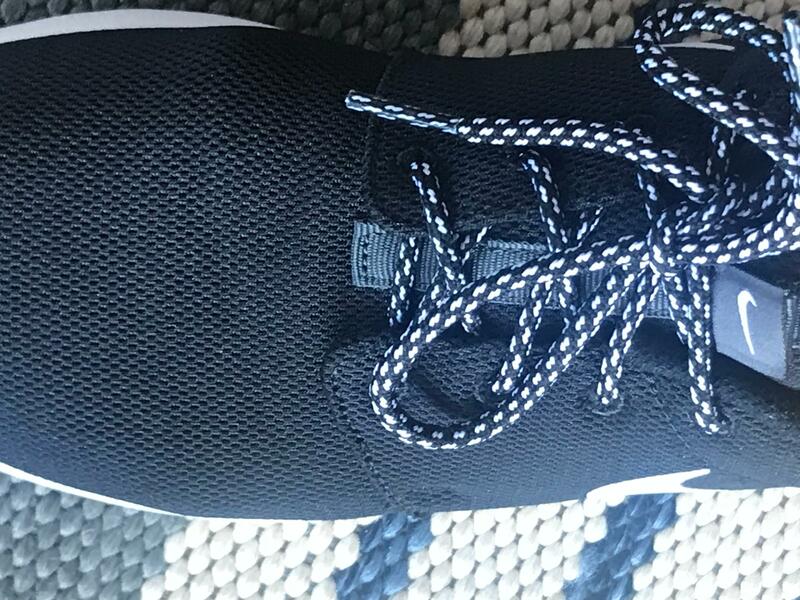 I am cautious about buying lace up shoes and sneakers online since I have a high arch and so often the ridge of the shoes dig into my toes. But these are great. The size was perfect and they are both comfortable and really cute. Have compliments each time I wear them. 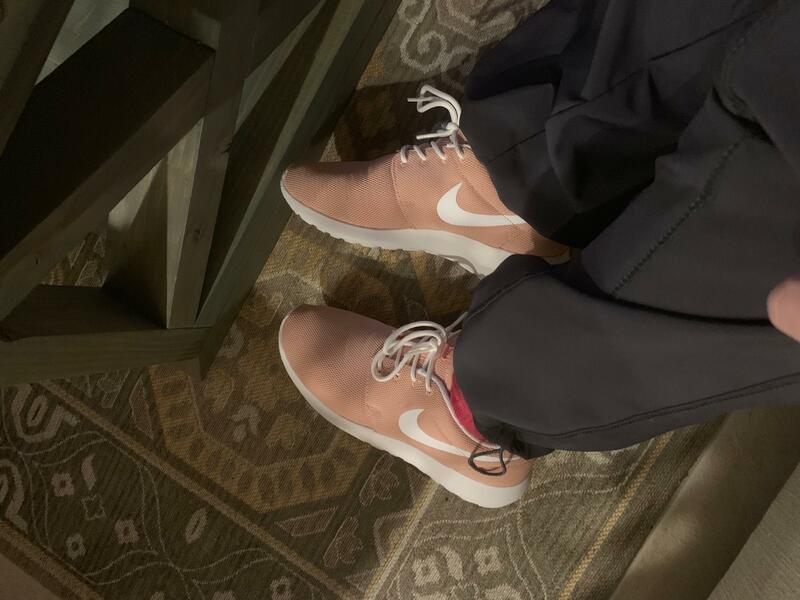 Must confess I bought Nikes for political reasons, but these are going to be among my most favorite casual shoes. Will attempt to reorder. The pair I received had defective sewing both in the tongue and shoe lace flap areas. Or else they are perfect. I agree with the reviewer that said "they were just as comfortable as Uggs". 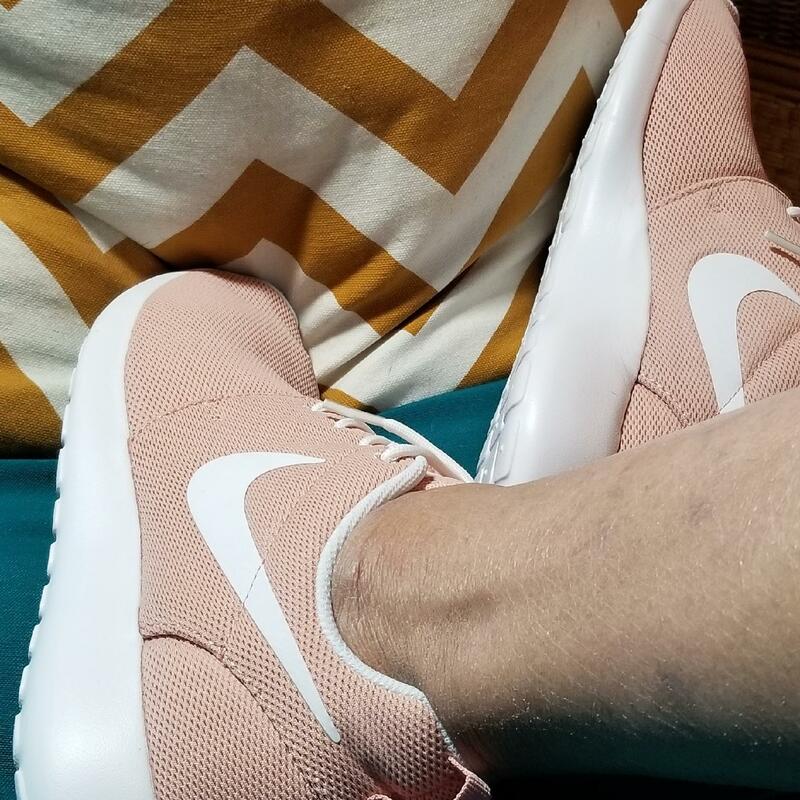 I have a Wellness Mat in my kitchen for when I'm on my feet for hours at a time... these shoes feel like I have a little wellness mat under each foot. They are terrific for doing a lot of walking or standing on your feet all day. Very light weight shoe, almost airy feeling. I can honestly say they have reduced the stress I fell in my legs during the day. I need a few more pairs in other colors than the black! My friend recommended these shoes because of their comfort. I decided to buy them for my mom for her birthday and she loved them! She says you can barely feel them. Her job requires her to be walking and be on her feet for long periods of time so she loves them. A lady from church even asked her where she bought them. I bought 8.5 size but was too big. Size 8 fit perfect. And I loved the shipping speed. They came exactly on her birthday. Definitely recommend these shoes. I would have liked to buy a different color for her but it's okay. I got these on sale on Black Friday — I’m so glad I did!! I received my shoes in less than 24 hours .... I was astonished. I love the sneaker it’s the perfect basic! Holy comfortable! These Nikes truly make you feel like you are walking on air. Plus, they're cute! Love these shoes! I’m a cardiology NP; I work inpatient and am on my feet for 12 plus hours. No issues from these babies! Love them. Super light and comfortable, I'm a big fan already. I'm a true 6 and the 6 fit perfectly, no need to go a half size up. The most comfortable running shoe I have ever owned. I ordered 10 more pair in different color combos! I am 62 with small bunions but a somewhat narrow foot overall and one foot is longer than the other. These shoes do well for all of that! Super comfortable, and the insoles are removable for easy washing. I run several miles in these daily! Amazing! Got pink polka dots & they are bright and vibrant. Love them! With socks and green insoles, they felt too tight. Removed insoles and they were perfect! These shoes are so comfortable...way more than my Frees. Although I wouldn't really consider these gym shoes like my Frees are. I love that they were made to be worn with or without socks. I just hate the white bottom...why can't it be gray or any other color than white?! These ran smaller that my Pegasus 29s. I returned them for a size up. If you are expecting a running shoe, this is not the shoe for you. It is a great looking walking shoe with a little height to it. I just received the purple Roshe Run. They are super light with a comfortable fit. They come in such pretty colors. I saw my coworkers checking out my new favorite sneakers. I call them my "purple people eaters." They have a snazzy look. Very cute but not a running or active shoe. Solely for style. Put in a dr scholl insole and that provided some arch support. These sneakers are a beautiful color! Unfortunately they did not fit me. I ordered down as some of the reviews before stated, but the shoe was a bit tight for me. I recommend ordering this shoe in your regular size. In addition, this shoe is meant to be worn without socks and so it fits a bit closer than a regular sneaker and has a breathable top. Love the style of these shoes, but not the overall comfort. Yes, they're soft when you walk around a bit, but not for the whole day. 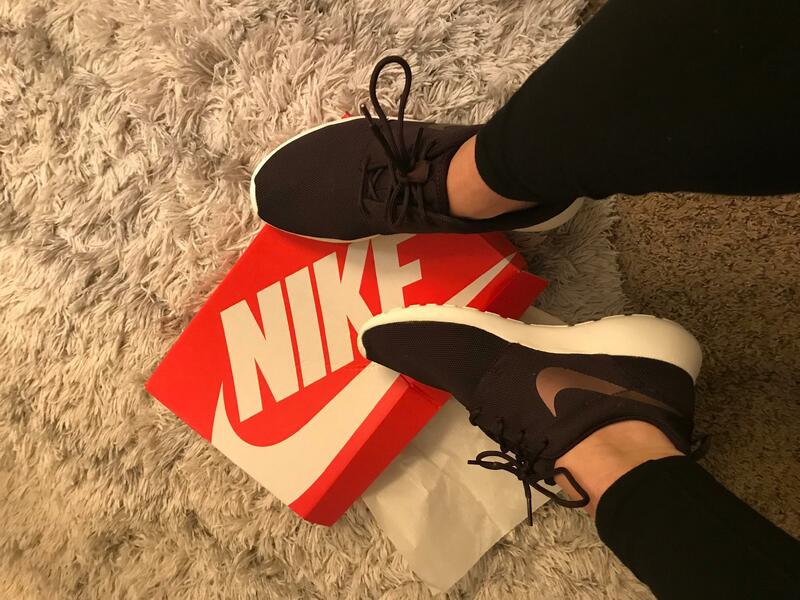 I recently went on a trip to Disney World and brought my pair of Roshe Runs and my Nike Free Runs 5.0. For the first two days, I wore my Roshe Runs. Towards the end of those both days, my lower back was killing me! It was definitely hard to stand in line with these shoes on. After the 2 days, I switched to my Free Runs and towards the end of the day I felt good! So I guess the Roshe Runs are only good for half-day/sedentary use. Even though they're not running shoes, they're not really good walking shoes either. I usually just use these shoes when I go to the gym and do cross training and/or lifting weights. For how comfortable they are, it's a great price! Wish there were other colors, but the pink looks good! I would recommend buying a half size down. Very light and worth the price! 8.5med in Plum Chalk was too narrow especially in toe box area--insoles hurt as there were ridges running from toe to heel--outsole too high for me. The color was very pretty may have been a problem keeping clean. Liked the outsole bottom which is like my old and no longer made Nike Eclipse II shoes. Must return. The fit and size were fine but the insert was waffled and extremely thin. Felt like crumpled cardboard. They are very nice looking shoes. They are not comfortable enough to actually work out in, though, and definitely not enough support to run in. I have just recently started having foot issues, I stand all day for my job and my feet are starting to get annoyed with me. I have developed bunions that shoot zings and pain through my foot and I have noticed my feet get tired a lot faster than they used to. I am a Dansko shoe wearer, but in the summer I like something a little lighter and less clunky. I was excited when I saw how many positive reviews this shoe has, however, this was not the shoe for me. First, in my opinion, this is not a very attractive shoe (which I can overlook if the shoe is comfortabe). 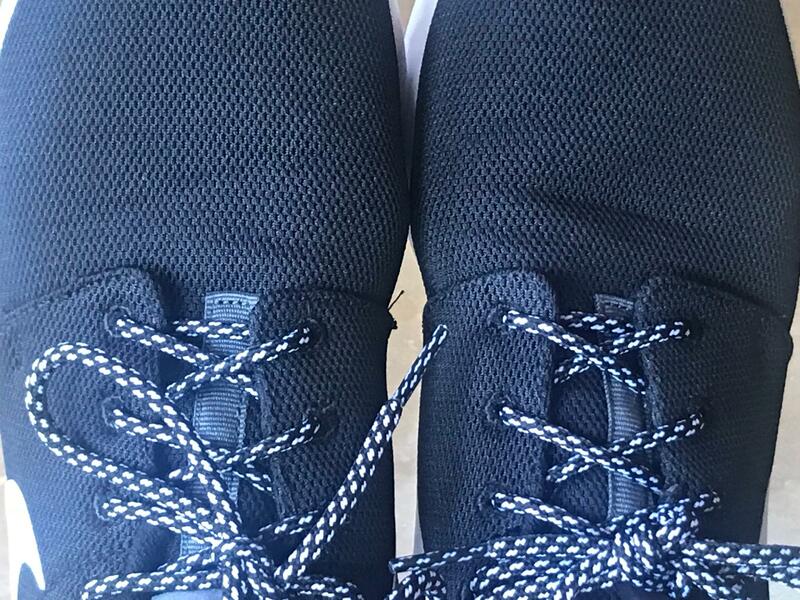 The ridges that are built into the bottom of this shoe are not comfortable at all, the shoe was tight on the tops of my feet, making me aware all day that I was wearing shoes that had no arch support and also squished my feet. The old saying rings true, you get what you pay for when it comes to shoes. I don’t understand the great reviews of these shoes. The inside footbed is bumpy! Do yourself a favor and try them on somewhere before buying!!! I have two pairs of the Nike frees and I guess expected the same comfort as them. I see why these are less expensive. I sent these back immediately after putting on just one. Not comfortable at all!